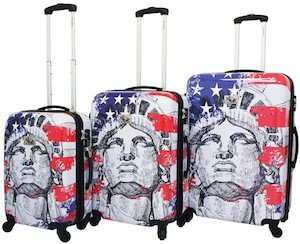 If you like to travel and need some new luggage then you should check out this US flag and Liberty suitcase set. 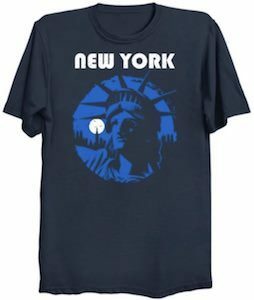 The set includes 3 suitcase in different sizes and all the suitcases have a US flag background and on top there is an images of Lady Liberty in black and white. And the full design has a worn look. 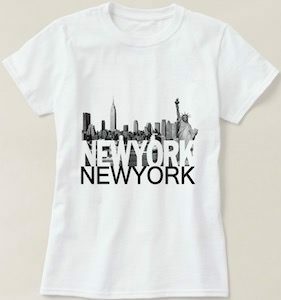 So now you can travel the world and show them that America is on your mind even when visiting amazing places and seeing amazing things. If you like the US and cowboys then this is the luggage tag for you. On the front of the luggage tag you can see the America stars and stripes flag and in front of that you can find the silhoutte of a cowbow on his horse doing some steer roping. So now you can have a cool luggage tag for when you travel to the rodeo or maybe you can even use it to mark you gear bag or even you school backpack because people will know that you like cowboys and if they don’t then they will find you info on the other side of the luggage tag. 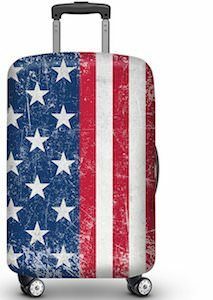 This US flag suitcase cover will transform almost any suitcase into one that looks like the famous stars and stripes flag of the USA. The suitcase cover has a worn looking flag on it with half of the cover being blue with white stars and the other half is red and white stripes. The suitcase cover fits snug around you luggage while keeping wheels and handles available. 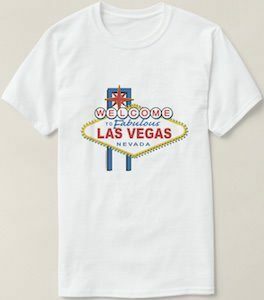 You can get this cover in different sizes to fit perfectly on your luggage and when it is on you show the world that you really like the United States Of America. 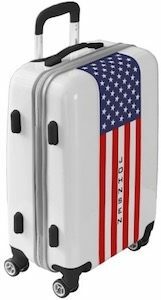 Now you can have a suitcase that is just made for you and shows the world that you like the American Stars and Stripes. The suitcase is available in 3 different sizes so that you can have one as carry on or a big one. The suitcase shows the Stars and Stripes US flag on the front but it maybe have a couple too many stars and in between the stripes it will have your name. So now it will be clear what suitcase is yours because it says so. The suitcase has many color options too so that you can make it perfect for you. The 360-degree wheels make it easy to navigate and the TSA approved lock keeps your belongings secure inside.